When setting a field value you can only draw from fields of a similar data type. In the example above I was able to set a Currency field based on a Floating Point field and another Currency field. 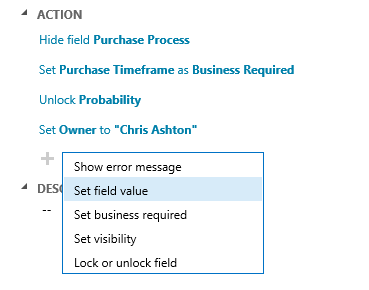 But if I want to set a Text field based on an Option Set or Lookup field I’m out of luck. When setting a field you can’t draw on any context information such as the current user or current date time. I tried to workaround this be setting fields based on Modified On and Modified By but those values are only as current as the last save so are do not reliably give you ‘now’. 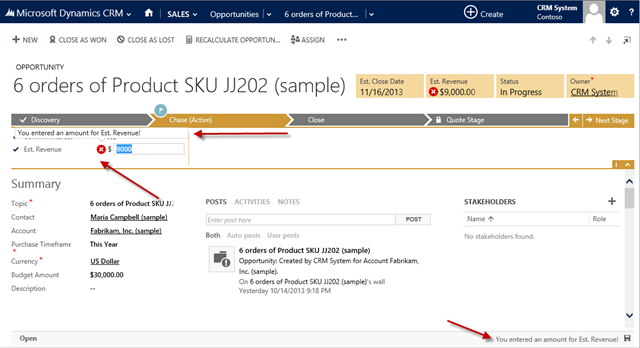 This entry was posted in Uncategorized and tagged CRM 2013. Business Rule on October 17, 2013 by Gareth Tucker. 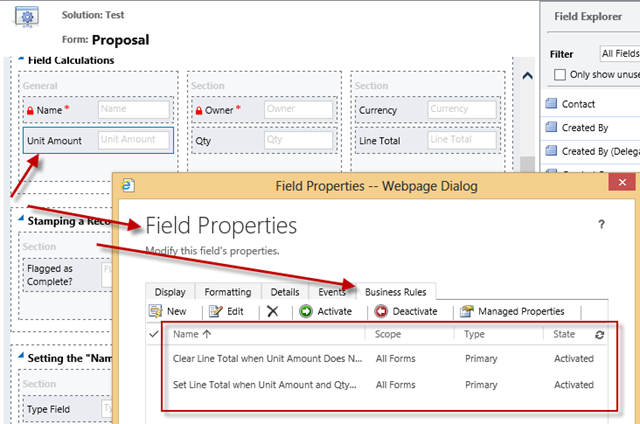 The rules are client-side rules, they do not fire during API calls, data import, etc. Microsoft’s vision is to add that support in a future release. You need to consider the inverse of your rule. i.e. in my example I tell CRM what to do when the Est. 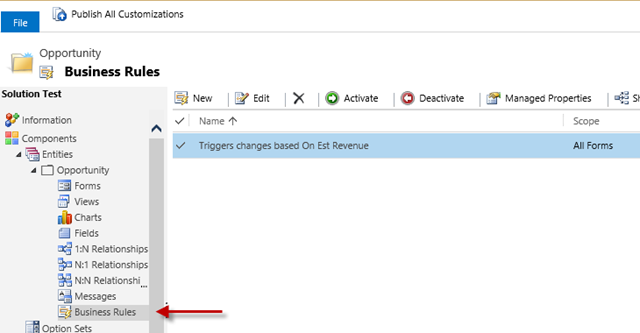 Revenue field contains data. I don’t tell it what to do when the Est. Revenue does not contain data. I need to write a second Business Rule for that. Fun feature, I like it! 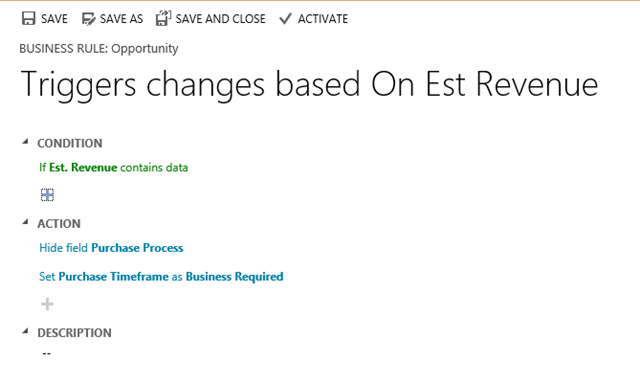 This entry was posted in Uncategorized and tagged CRM 2013. Business Rule on October 16, 2013 by Gareth Tucker.